The International Commission on Stratigraphy has formally agreed to re-define the boundary dates for the Quaternary, back dating the start of this particular period of geological time to approximately 2.6 million years ago. This new ruling super-cedes the ruling made in 1983 when the Quaternary period, the most recent period of geological time was set as lasting from 1.8 million years ago to the present day. The debate over where the boundary for the Quaternary/Neogene periods should be has raged for decades with the origins of the argument lost in the confusion that arose when the science of geology first began. Back in the days of Cuvier, Barrande, Sedgwick, Darwin et al geological time was divided into four epochs, the Primary, Secondary, Tertiary and the present epoch the Quaternary. If you read any of the original texts from these scientists and their contemporaries you will come across these terms when the ages of fossils are discussed. The terms Primary and Secondary have long since been renamed (the eras of the Palaeozoic and the Mesozoic), but the term Tertiary representing a sub-era that dates from the end of the Cretaceous to the beginning of the Quaternary is still used widely today. This particular interval of geological time consists of five epochs. The first three are the Paleocene, Eocene and Oligocene (forming the Palaeogene period) and the final two are the Miocene and Pliocene (Neogene period). A number of attempts have been made in the past to agree the start date for the Quaternary. The old boundary of 1.8 million years ago, does not represent a significant natural event. Major cooling of the Earth began approximately 2.6 million years ago, much of the northern hemisphere became covered in ice sheets and many scientists have long argued that this point in geological time would make a more appropriate boundary. “It has long been agreed that the boundary of the Quaternary Period should be placed at the first sign of global climate cooling. 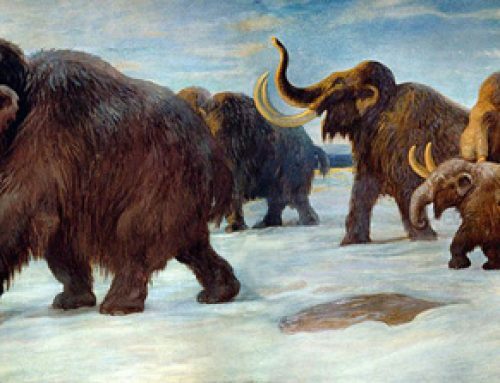 What we have achieved is the definition of the boundary of the Quaternary to an internationally recognised and fixed point that represents a natural event, the beginning of the ice ages on a global scale”. Until this new agreement was reached, it has been widely felt within the scientific community that the Quaternary boundary should be located earlier, at a time of greater change in the earth-climate system. (rapid and extensive cooling). “For practical reasons, such boundaries should ideally be made as easy as possible to identify all around the world. The new boundary of 2.6 million years is just that”. Looks like a lot of textbooks are going to be re-written. The formal start date of the Quaternary is now 2.58 million years ago and a paper has been published in the scientific journal “Journal of Quaternary Science”, clarifying the new position. Extract published in part from Science Daily.